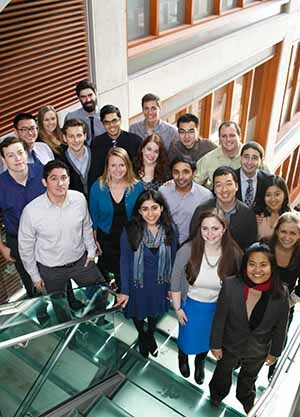 Please join us in congratulating the EDI Class of 2013 on delivery of their final thesis presentations. Over the last 9 months, the students have been paired with industry mentors to frame and explore individually selected thesis topics. It has been a pleasure working with every member of the EDI Class of 2013. We wish them the best as they continue their careers in design innovation. VP shunts are life-saving implantable devices used to relieve pressure in the brain. These systems fail frequently, and the diagnosis of these failures requires an extensive workup of tests. The shunto-scope ultrasound probe provides more information to the neurosurgeon noninvasively for more efficient and effective diagnoses. Neighbor Share Spot is a tool that can be used to facilitate communication in a disaster situation when traditional means are not available. In an environment where we must rely on those around us. Neighbor Share Spot is platform that allows survivors to send essential information to people outside the affected area and collaborate with those around them. High school teachers work hard to establish connections with their students. Teachers use these connections to develop informal tactics, adaptations, and engagements to help students succeed. At a large school, these tactics are usually only shared within each department or through chance encounters. How might we help teachers celebrate and share the tactics that led to breakthroughs? Lighten is short for Living Itinerary. Through a series of partnerships and smart data, it can help you plan activities when visiting a new city based on what you like and create alternative suggestions when plans go awry. Unlike conventional planners, Lighten will build you an itinerary and can be used in a pinch to find fun things to do. CoLaboratory elimnates the need for traditional project status meetings. It allows management consultants and their clients to communicate project updates quickly and easily through a mobile platform to provide real-time updates, reach decisions faster, and build trusting relationships. and the screen. Locktop provides protection while eliminating the hassles of transportation and setup that you have with a cable lock. their performance relative to a target finish time, a previous run, or race. The Quick Draw secures your phone to your fore-arm, where it will be ready for action when you need it. This device allows you to use your phone confidently on a boat, on a ski lift, or hiking in rough terrain and launch your phone into your hand instantly. Glimpse is a crowdsourced website helping to prepare travelers for a trip abroad. The content is generated by locals to give travelers an authentic glimpse into their culture. This allows travelers to explore the nuances that make the culture unique creating realistic expectations, increased cross-cultural education and heightened excitement! Icebreaker is an App that helps two persons to get to know each other better on dates while strengthening relationship with their close friends. Through conversation prompts and an App summary, Icebreaker will help you break the ice with your partner and give tons of topic to talk about, helping you to understand your partner better. Networking Coach is a conversation-based simulation game that helps people practice networking skills. By interacting with a virtual character, people will get more comfortable with networking. LandMine is a location-based messaging and gifting mobile application that allows you to set up a message for a friend that will be triggered and pop up on his/her phone when he/she arrives at a specific location. It also offers gift card options. The idea is to provide users with a new way to interact and connect with their friends by creating moments of delight and building up shared memories. gentle prompting and smarter organization to make journal or diary-keeping a more integrated, alive, and engaging experience. I Want to Know provides testing for Sexually Transmitted Infections (STIs) in public washrooms. Students submit urine samples in washrooms to detect the presence of chlamydia and gonorrhea, some of the most common STIs among college students. Other methods require planning and effort. I Want to Know allows students to act now. Physical therapists use certain standard outcome measures to track patient progress. However, these are recorded manually and additional help is often required. WalkTrac is an accessory for assistive devices that takes over the data acquisition aspect of these tests, providing accurate data while allowing the physical therapist to focus solely on the patient. CommuniCare is a communication tool to facilitate the transfer of daily information among multiple caregivers who are caring for a loved one diagnosed with dementia. Besides allowing the caregiver to build an online support system, CommuniCare provides caregivers the tools to monitor the health of the patient and to take action. so improve the experience for many of their other guests? and fun to the dishwashing process! device to deliver this useful and potentially life-saving information. or pick up a bottle to learn a different culture.